Is it possible for you to add a button at the bottom of a spoiler, so you can hide from the end of the spoiler, rather than having to scroll all the way back up? 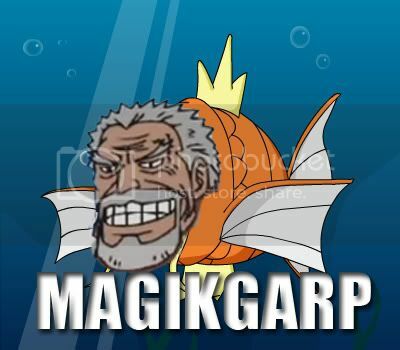 Your Magikgarp evolved into a Garpados. The new post system is odd, when I click "Edit Post" instead of being able to edit my post right there IN the post, it instead treats it like I clicked "Go Advance." Additionally, the typing field seems to take a second or two to load up. EDIT: Okay, that's strange. This time when I clicked "Edit Post" it actually let me edit it in the post instead of sending me off to a separate page. Can we have a general shoujo thread in the anime/ manga section. I'm sure a lot of girls and guys who care would be interested in discussing some of their favorite classics or ongoing manga that are worth discussing. if you click edit before the page is fully loaded it will take you to new page, otherwise it will open edit box in post. I'm sorry if this has been suggested before, but it would be really nice to see the poster's gender somewhere (below the join date and location, perhaps?). It's a little inconvenient when we end up calling guys "her" and girls "him", because the username and the avatar can be very misleading. We do have a gender thread, albeit one that had JERK DISEASE labeled as a girl one time back when we still had the general discussion threads, but it's fairly reliable if you really want to know (or just ask the person). People still mistake me for a guy, and it doesn't bug me in the least. Misleading avatars are fun!! and I really don't see how it's "inconvenient" at all. It's not as if people are gonna be like "OMG YOU GOT MY GENDER WRONG I'M GONNA KILL YOU" or even be annoyed at it. But that's just me. I think that there's no gender field to stop sexual harassment or something like that. I remember hearing that somewhere. Could the file size limit for gif avatars be upped a little bit? Like to 150 kb or something? Why exactly was 97.7 kb chosen anyway? Why exactly was 97.7 kb chosen anyway? Just guessing, maybe beacuse while size they gave size 100000 bytes which is 97.7kb (and not 100kb). I suggested it once before, but why shouldn`t we use Chrissie`s pixel-"smileys". They`re OP-related and without a doubt cool. 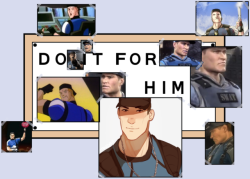 Here just a few, so that you can picture for yourself what i mean.